Yep, for the month of July I am taking adult beginner ballet twice a week. I have had one class so far and it was interesting. We are starting with covering the basic positions and got to 4th. We did some demi plies and tendues. I am doing better than I thought I would. The main thing I have to watch is to not let my right foot roll too far forward in some of the positions and put too much pressure on my knees. I actually have a pretty good turnout (on both sides!) which also surprised me. I am very interested to see how this goes. I decided to try this as Boss has been recommending it for a few years now and finally I found a brief workshop that happened to work with my schedule. It’s a good way to connect with my muscles and use them in a slightly different way, as well as create body awareness in places I have very little and develop some movements that will help, especially with latin. I love how structured the class is at the school I am working at. Baby steps the entire way, but important steps. Slow and steady. Right up my alley. There is even potential to continue in the fall, depending on what happens with work and how the rest of the month goes. After all, it been only one lesson. I just decided I wanted to do something different that scared me a little, and ballet seemed to fit. It’s a challenge and something fresh. So far, a great decision. I also decided to experiment in another area of dance – a new standard dress working with a new designer. I love all of my competition dresses I have had, but I wanted to get outside the box and little and see what someone new might suggest. I was able to meet with the new designer over the weekend and I am waiting now to see what she has come up with. She has some interesting ideas I would have never considered so I am curious to see how it turns out. Yet another thing that is a bit outside my comfort zone and scares me a little. I think I need to stretch myself with these things. I have gotten a bit too comfortable lately and while that is not a bad thing by any means it does limit growth. Even in my lessons with Boss there is a bit of a theme of me staying in my comfort zone (especially in standard) when I really need to push myself out of it and start challenging myself a little more. It’s not that what I do is ‘easy’, but I am comfortable with the challenge I have been presented and that I can overcome it without too much time. I did have a lesson tonight that also surprised me. One of my new exercises is focuses on a sequence of New York variation in cha cha from our open routine. 2 weeks ago Boss gave me a little bit of direction for it, and then left me to work out the rest. I have been working on it in detail trying to focus on the points he mentioned, but I didn’t feel like I fully understood what he was looking for. It appears I did, for the most part, without even realizing it. What started as an intention to just ‘go through the exercise’, actually turned into being able to work through the entire sequence in detail in time with the music together with Boss. There were a few points to work through in the beginning, but once I figured out what was needed I was able to adjust and adapt and pull the piece together. It’s a key section of the routine I managed to progress quite a bit in less than two weeks. Now I have further details and adjustments to work on when I do my exercises for the next few weeks, and I know I can do it at speed. A real surprise overall! The other thing I asked from Boss, now that I am feeling fairly stable with all but 3 of my routines, is some direction for working on them further on my own. I am hoping that will help relieve some of the stagnation and feeling of being unproductive and only focused on steps when I work through routines on my own. I feel like I have pieces here and there were I apply things, but it is quite jumbled and all over the place with no consistency, so essentially I have asked Boss to help me organize my practice better. Finally, next week I begin a new course for school and this blog will be part of it! For this course I have to write 4 blog posts reflecting on a story in the media related to a sport and it’s impact on society. I am still waiting further details, but the posts will appear here, so stay tuned and thanks for participating in my education! It looks to be an experimental summer! The other thing that happened last week was sitting down with Boss and going over the plan for moving forward until the next competition which should hopefully be in February. Prior to the competition, we had had a preliminary conversation about where we want to go next, so there were no real surprises. Boss sent me an outline of the plan before the lesson, which gave us a starting point to work from for our discussion. We were completely on the same page which makes things easy. During my lesson we discussed the plan, as well as my plans for strength training which I hope to return to next week and how one can support the other an vice versa. We then took some time to look at the videos from the competition and discuss points from there. The plan (on paper) is relatively simple. Boss has (already) developed some short closed silver sequences which will be competition routines, but more so mini-sequences with aspects of technique I need to focus on. Essentially, they are comp routines and exercises in one. Adding to this, and where the competition training focus will mostly be will be some open routines–standard developed by Boss and Latin done with another professional couple. We are also going to work on developing the waltz solo routine we have been trying to put together since the end of summer. The intent is to perform that solo at a local competition in January, and again at the competition in February. My restriction on that is only that the sequence needs to be choreographed before the end of November as I don’t want to be rushing to put it together. We will see how that goes. I will start back to my lessons tonight, which I expect will begin with going over the new silver sequences to see how they go. There are some interesting combinations already and I am eager to try them out. I have 1 month until my next surgery, which is the completion of my reconstruction and should only sideline me for 2 weeks, if not less. For myself, I would like to have the silver sequences down, the solo choreographed, and at least some of the open routines ‘mapped out’. But that is what I would like to do. OH! I had some success in fixing the tear in my standard dress. Hopefully that will last! Last lessons before the competition are done! Today was about putting together last minute pieces to the smooth VW and ironing out a few ‘odd spots’ that creeped up in some of the routines as we were running them today. I feel very good about where I am right now. Will the routines go perfect and be as strong as possible? No, I don’t expect that, but I do know that the routines will go as well as they can and I will be dancing them instead of just trying to ‘get through’ them. I realized earlier this week that I am actually quite proud of myself for making the health decisions I did last month that ultimately led to me getting back to being ‘myself’. Because of that, for the last month I have been able to train better and harder than I have been able to in over 2 years, and the difference is incredible. On top of that, I am right ‘on target’ with my studying for the week, and aside from a break to get the mandatory mani/pedi for the comp, I should be able to finish up all the work for this week before we leave, leaving me able to relax some and perhaps even get a ‘jump’ on next week’s work over the weekend. I have one of my dresses back and ready to go, and the other 2 should be ready by noon tomorrow. I know my dressmaker has been working constantly to get all the stoning done and what I saw of the dresses tonight look absolutely fabulous. I can’t wait to wear them and sparkle all over the floor. I hope everything goes as expected tomorrow, and plan to just enjoy the experience competing this weekend. After all, I have already won–I am able to dance again! My hair is at a really awkward stage right now as far as dance. It is too short to put up, but too long to just leave it to the fairies to style. It is sitting just below my ears right now. From my very first competition, I have worked to include Boss in decisions related to dance–including dress designs, shoes, hair and make-up. While it is my image and style, we do have to dance together in the end and he does have more experience in it than me. So that leads us to the hair debate. What do we do with my rather awkward and unruly hair for the next competition? Yep, that’s ‘Alice’ from ‘Twilight’. However, when I asked Boss his opinion on it, he had some pretty strong oppositions, some of which would have been more useful a few competitions ago. First, he tells me that he does not like the idea of ‘bangs’. I have had bangs pretty much since 2009. Typically for competitions I glue them together into little spikes. The only exception was one competition in 2014 where I did the whole ‘side bang’ thing because I was debating growing them out and they were too long otherwise. So, apparently, he has not like what I have done with my bangs for competition since the first one. Secondly, he tells me he is not a fan of the ‘slicked’ down look where essentially a ladies hair is stuck to her head. At least we can agree on that one. Finally, he told me he does not like the ‘Alice’ look because it is too messy and looks like there has been no effort put into making it. I can’t say I agree on that one, knowing how much time and effort it takes to create that look, including straightening, gelling, flipping, and moulding. Jagoda B., a recently retired latin pro finalist. Since my hair is about this length and does have some elements of curl, I am willing to work with it. I had to see my hairdresser this week anyway so I talked with him, showed him the pictures and he is willing to show me how to do it. And by me, I mean so I can show Boss. I can be pretty good and creative with others hair, but I am hopeless when it comes to doing my own, especially the back. I was directed to buy a 3/4″ curling iron, which I have done. I am hoping it won’t be too complicated or time consuming, especially as we start dancing at 8 am Saturday morning. To add an additional dimension to this look, I should mention that my hair is is naturally red from the top of my ears up, and very light blonde from the there down. That should create an interesting playfulness. As far as future competitions, aside from continuing to grow my hair out (which I have been doing anyway), I guess growing out my bangs some is also on my list, or at least something to do a bit before my next competition so they are able to be moved off my forehead. I will have about 8 months to do this so it is pretty likely my next comp will involve more ‘traditional’ hair. So as far as debates go between Boss and I, this one was not too bad as I am pretty disposed to be flexible. It’s just interesting how it took him almost 3 years to express his real opinion. Makes me wonder what else he hasn’t said. My dresses should hopefully be ready early next week and I have rounds practice today. I am also reading my textbooks like a mad woman trying to get ahead a bit on my master’s so I don’t have extra stress while trying to compete. Well, I got through the week. Finished the bootcamp both Thursday and Friday night and also had a lesson on Friday just to tie things up neatly. The lesson on Friday was mainly a review of my standard and latin routines ahead of the rounds practice tomorrow. The standard routines went well, although they were just a run through of the steps in practice hold. After them, we worked on the Paso Doble, which is finally started to come together–at speed. There were a couple glitches along the way which we had to work out, usually with one of us on the wrong foot (mainly me) but we were able to run it from top to bottom at speed without stopping which is encouraging ahead of the practice tomorrow and two weeks before a competition. After Paso, we ran quickly through the cha cha to try out the change I made to the beginning (which worked! ), but this is where we started to run into a bit of trouble. I had been feeling a little ‘off’ since Wednesday and the feeling has gotten gradually worse since then. It’s hard to explain but I can almost feel my hormone levels creeping up and today I turned into a bit of an emotional wreck–a sure sign. My head feels all fuzzy and behind and this is what started happening in cha cha–I just felt slow and detached from what I was doing. Boss found I wasn’t quite ‘with it’ and I wasn’t using his connection to do my steps. I have to agree it was like I was stuck in my own world. After cha cha, we worked on jive, and this just went from bad to worse. I kept mixing up the steps (even though less than a week earlier I knew them), I wasn’t forward enough and as such I just wasn’t connecting through the steps and they just weren’t working. I wasn’t even able to really follow the lead I was getting. It was super frustrating to feel myself lacking focus and essentially unable to pull it back–especially after the rest of the week had been so great. It makes me more than a little nervous about the practice tomorrow because I know that today I feel even worse and I don’t see tomorrow as being better. I am due for my next ovarian suppression injection on Wednesday and I have a feeling the effects may have worn off a bit through the last week. I feel very scattered and tired when I want to be focused and energetic. Unfortunately, all I can do at this point is take tomorrow as it comes, and accept that things might not be as strong as I would like them to be. In one way, this is a good opportunity to see how I do when I am feeling like this. One thing I do know is that after my injection, I will feel better and my energy and focus will return. I finally saw the dietician today and we had a great discussion. We suggested some small changes I can make and I will see her again next weekend. For the most part, what I am doing makes sense, it just needs a few tweaks here and there to try and get things working again and for the weight to come off. Having steady hormones will make a difference for sure. I also had a dress fitting today for my smooth dress and it is looking so great! Some of the stoning is done and the final touches of the sewing is all set to go now. I am waiting on some stones to arrive for it and my fingers are crossed they arrive in time! My other dresses are really coming along as well–my dressmaker has been stoning up a storm–especially on the latin dress. I am definitely going to sparkle at the competition. So that is how my week has ended and I hope it starts with a good practice tomorrow. If you’re on vacation, why not dance? It was a busy but really productive day today in my dance world. First, I had my styling detail session with Boss, or at least the first session. We worked through rumba, paso and samba, which are probably the easiest routines for us to work on for styling as a lot of it was either already worked out some, or has a lot of time in hold (paso and samba). It was really productive though to go through each routine in detail and figure out things like where we connect, where I need to make sure my hands are so we can connect (hard to do an underarm turn if my hand is down! ), and to try a little bit of some new things (skirt work!). Going through the styling details like that also helped cement the routines together and provide some symmetry where we were missing some before. I finally worked out my shimmy part in samba–I just have to keep my confidence through it! Later in the day I had a dress fitting for my smooth dress, and it is really coming along well! It was also Boss’s first time seeing the smooth dress, and he seemed to be pleasantly surprised to like it. We only had a few details to adjust and sort out, but it is well on it’s way to coming together. I also got to see all the stones for it, and I got to see some of the stoning progress on my latin dress (which looks So amazing now!). I am really excited for how all of the dresses are coming together. In the evening I had a regular lesson, although not at the usual hall due to the holidays. We spent the lesson working through the waltz routine in little details, fixing the places where I just didn’t seem to keep it together. We spent the most time on the fallaway and slip pivot to the contra check, and it finally clicked together for me how all those pieces work together and how the contra check is supposed to work. Because the hall was smaller we were limited to doing small segments at a time, but that worked really well. It was nice to spend some time on standard today, it’s been a little while as we have been working getting the smooth and latin routines together. Boss told me today we are making a little bit of a change from what we usually do. Instead of using the legs to travel, he has me focusing more on using the legs for swing, sway and rotation. It’s a small change, but I like it a lot. I feel a little more controlled in moving, and finally I can feel standard starting to take shape beyond just the steps. We did discover a bit of an anomaly in how I get into position. I have a habit of stepping too far forward, which puts me too close, but I also tend to lead with my left side forward, which also puts me too far to the left side. It took a little bit of adjustment and trial and error, but I realized I was doing that because with the loss of sensation through my chest, lower belly and upper thighs, I started using my left hip as my ‘grounding point’ to figure out when I was in position. Unfortunately, this tends to wrap me too much around Boss’s side, so we were working on finding new ways and a new grounding point and a visual clue to help me out. What seems to work for now is to make sure I come straight towards Boss, aiming to put the edge of my right side in his centre, and to only take two steps forward (left foot, right foot) and let Boss close the gap if needed from there. It’s a small change of habit that I am sure I am going to have lots of practice with over the next few lessons. Boss said today that the intent is to keep working through the standard routines over the lessons this week and I am looking forward to digging into the rest of them some more (waltz is the easiest dance for me to pick up, so the rest should be challenging). One of the biggest advantages to how I have been feeling lately is that my mind is sharp and focused again and that really showed today. I can feel all of the information from today processing in my brain and I can tell it’s going to stick. I have also had more energy lately which is also helping a lot and I am really feeling a lot like my old self. As I continue to feel better, it amazes me the details that are coming back. Things that I used to do automatically (like travel, press into the floor, stretch through my whole body) are suddenly coming back–and I didn’t even realize I had stopped doing them. I just feel so much stronger overall and more connected with myself than I have been in a very long time–and not only in dance. It’s such a relief. Even my lessons have been a bit more intense requiring a lot more effort lately and I have been a bit proud of myself for being able to step up. It seems like it has been a long time since I have had lessons that have been a lot of ‘go go go’ and I am really enjoying that. I hope that my endurance is also improving. For the first time in a long time, I feel like I am really preparing for a competition–not just going through the motions. It’s back to work tomorrow, at least partly, and I have lessons every night the rest of this week, and will have another styling session on Friday. I keep saying it over and over–but it’s really true now. I have been quiet lately, but mostly because I was having a hard time finding something positive to say. A lot has happened over the past 2 weeks and it doesn’t look like things are going to improve in the short term. I have been off work for almost 2 weeks now. What started as withdrawal symptoms from one medication merged into another issue which caused issues with the hormone therapy. I seem to be finally on the mend, although it may be temporary for now, and in 2 weeks I will see an endocrinologist–which will hopefully be the beginning of the end of these issues (understanding it will take some time to work things out). I am taking a break from hormone therapy on the recommendation from my family doctor and endorsed by my oncologist. Just stopping the hormone therapy has already started to make a difference in how I am feeling. I have moments where I feel really good and strong in a way I haven’t felt since before I got sick, but I have also moments where I feel pretty miserable. I had bloodwork recently and it showed something my family doctor and I had hoped would have been behind me–a severe hormone imbalance. My body is producing 4 times the normal amount of estrogen and almost no progesterone to balance it out. When you add hormone therapy to the mix…it’s been like a perfect storm. Before I got sick, my family doctor was able to treat the imbalance with progesterone replacements, but now that is no longer possible. Hence the referral to the endocrinologist. I am lucky that I will see her in 2 weeks and hopefully she will be able to look at everything and come up with something that will help and make a difference and rebalance my hormones. According to my family doctor, the hormone imbalance would explain a lot of the symptoms I have been having from depression, to foggy brain, to nausea, muscles aches, and unexplained weight gain. If my hormones are able to be rebalanced, I can try to return to the hormone therapy again. Taking the break from the HT has helped me feel better. It is funny how you don’t really realize how terrible you feel until you start feeling better. Yesterday, I had real energy for about an hour. But, as I said, when it rains, it pours. I was greeted by the news tonight when my new roommate got home that he will be moving out in two weeks to live in a place that is not so restrictive on noise (he is an avid accordian player). I wish him luck in his new place, but it leaves me in a big pickle dance-wise as it throws off my budget for the foreseeable future until I can find another roommate. I am disappointed that I have to now recalculate a lot of plans, including coaching and competing, at a time when I feel very close to finally getting back on my feet again dance-wise. He also told me the day after rent was due and essentially left me without his rent in December, which I had no reason to not expect. With his rent in my budget I made a decision on extra stoning for my dresses that his rent would have covered. I am hopeful that I will be able to find a new roommate before too much time passes. No roommate means no competing or any other dance ‘extras’. This seems to be my quota of disappointments and bad news for December, so I am hoping it will be nothing but happiness and holiday cheer from here on out. Well, I made it through. It wasn’t always elegant, and we had to stop and reset here and there, but for the most part I was able to get through each routine at least once without stopping. We did a bit of a graduated increase in standard–first we did compact almost practice hold just to go through the steps, then Boss told me to slowly start to stretch out, and to use my power to move. I am still being far more cautious than he would like, but it is slowly coming. I was able to pinpoint at the end of today the areas where I am still not quite sure of the timing or footwork. Waltz still remains the most solid right now, and foxtrot is actually not too bad either. Tango is almost there, and Quickstep had a few issues where I am not sure what I am doing, but I just keep my feel moving. I think it gave Boss good feedback on what we need to work on and focus on for next week (other than the solo). We also did one lap of the floor in Viennese Waltz today, and that is where I am really feeling my lack of endurance coming into play. For each of the routines, I definitely hit a point where I could feel I reached the last of my energy. Thankfully, it was near the end of the round in most cases. I am pretty pleased with how things went today as I honestly did expect more hiccups. It was nice to get on the floor with the other competitive couples in the area for the first time in more than a year. I have missed these practices for sure. Latin didn’t go too bad either, although there were almost more issues than in standard. I kept forgetting the same part in samba (but Boss kept forgetting a different one), and I wasn’t quite able to get all the turns in cha cha (according to Boss I am turning to much for the time I have, and I can agree with that). Rumba went the best today, just small hiccups in the extended ending Boss added on Friday. Paso definitely needs some review, and I was doing my old jive routine, so it went well–until I ran out of steam (but I almost made it through and with my knees up!). Yesterday, I had a dress fitting and it was pretty exciting. We are at the point where the stoning is starting! Both dresses are looking really amazing, even before the stones and I can’t wait until the next time I get to try them. Next week is going to be pretty busy. On Monday we are going to review the routines, and on Wednesday and Thursday we will work on the solo. I should have the skirt for the solo ready to start practicing in next weekend. I can’t believe it is already halfway through September! Today is the one year anniversary from my last radiation treatment–what a difference a year makes! 3 more weeks until the competition–Yikes!! I have some good news from this week. After an exhausting Monday, Tuesday and Wednesday (where I didn’t even think it would be safe to drive to practice 😦 ), at about 5 pm on Thursday I suddenly had a complete turn-around and burst of energy which has continued into today. This turn-around and other symptoms make me strongly suspect that the extreme fatigue, mind fuzziness, difficulty thinking, etc. is actually hormone related. Looking back, the last time I felt that bad was about 4 weeks ago. It could be a sign that despite the chemopause and hormone therapy, my body is still trying to be cyclical. I have noted on my calendar what happened and when, and I am going to see if it happens again in about 4 weeks. Interestingly, it was the appearance of the full moon that triggered to me that perhaps this is cyclical, and not just a random occurrence, as I remember feeling ‘off’ the last time the moon was almost full. If I didn’t know better, I would almost think I had a bout of extreme PMS. That aside, preparations for the competition are continuing. All the routines are choreographed now, and this week Boss and I spent time running through them and getting them to a point where I can do them mostly from start to finish in preparation for the competitive run-through practice on Sunday. The latin routines, with the exception of a small piece near the end of the samba I need to remind myself about are in really good shape. I need to focus in a bit on my styling for them now and focus on working through them ‘all out’. The standard routines are coming, but taking more work than the latin routines. Waltz is in the best place right now, with (shockingly) Quickstep just behind followed by tango and Foxtrot. I have the routines written out now, which seems to be key for me to memorize and understand them, and they are at a place where I should be able to get through them from top to bottom without too much incident. The biggest thing the standard routines need right now is confidence. When I get to a part I am not too sure of, I tend to tense up, and then my shoulders hunch, especially my right side. I also tend to start moving small and cautiously. Today, we had some spots where I felt confident enough to really ‘let out the gas’, and it is pretty interesting when I do. My goal is to get to that point through all the routines and hold nothing back. Boss is working on encouraging me to use my power in standard (while still being controlled), and helping me to really realize what I am capable of. The more we run through the routines the more I realize how cautious I am normally and how much I hold back, but at the same time, each time I allow myself to really go for it, it is a victory. I think one of the most challenging things I will encounter at this competition is to keep myself in check and to not ‘overdo’ it by pushing beyond what I can control. It’s a fine line. I need to be confident in my movement, but I also need to be able to keep the confidence within the realm of what I can control. Boss told me 2 weeks ago that he had been reviewing our previous competition videos and that he found it really interesting. When I asked him why it was interesting, he said he was really looking forward to seeing what will happen once I am in full power and control and at my ‘top form’. Of the videos from my last 3 competitions, I wasn’t completely 100% for any of them, due to illness or injury. The entry list for the competition I am doing is out and I was pleasantly surprised to see that in latin I will be against 3 other competitors in most of my single dances, and will have competition in both of my multi-dances. That is really encouraging and awesome for this competition, considering last year I was alone. Great growth and kudos to the organizers for that. In standard I am alone, except possibly in my multi-dance, which takes a little bit of pressure off it. It’s been quite some time since I have had competition, and it does make me a little nervous as all the students I am against are people who I have neither danced with nor seen previously, but it is exciting nonetheless. Despite the nervousness, I am just trying to remind myself that the goal of this competition is simply to get the routines on the floor. If I can do that, mission accomplished! It’s great though to be excited about a competition, as it’s been a while since I have been. We didn’t work on the solo this week, but we are supposed to do that on Monday. I know that the practice on Sunday will certainly highlight the areas that still need some work, and that will likely set the stage for the preparations over the next 3 weeks. On a different front, my dresses are coming along really well! I have a fitting tomorrow, and following that they should be at the stage where the stoning will start, to really get them towards the final product. The third dress should be started as well (the smooth dress), and I am excited to see all three! I am also having a skirt made for my solo, so I am hoping there is a little bit of progress on that too as I think it will be useful to practice with it as soon as I can (no pressure to my awesome dressmaker!!). So along with a debut of new open silver routines, I am also going to be debuting two new dresses, a new solo routine with a new skirt. Lots of exciting things happening! I am nervous for the rehearsal on Sunday. It’s been more than a year since I have done any of these practices and I am not entirely sure I have the endurance to be up to the challenge. I am going to try my best though! I was joking with Boss tonight that my goal for Sunday is to get through everything without falling down–although I think I was more than half serious! His goal is for me to do things ‘compact’ the first round and then to ‘open up the gas’ for the second one. Interesting how we have different perspectives :). We will see who has the best predictions. It’s been a while since I have been in full ‘competition prep mode’ and I am finding the change refreshing. I think even seeing that I have actual competition in some of my heats has helped to motivate me some. Lots to do, but I think for the goals I hope to achieve with this competition, I am in a good place. 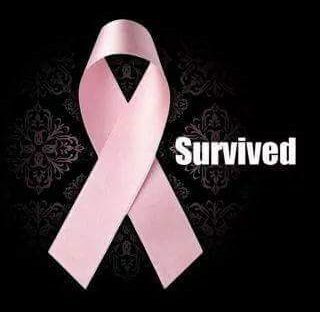 By the way–tomorrow is my one year anniversary for my last radiation treatment!